Extremal material properties. Negative Poisson's ratio. We are interested in materials with heterogeneous structure, including synthetic composites and polymer lattices and cellular solids as well as natural composites such as bone, ligament, and wood. 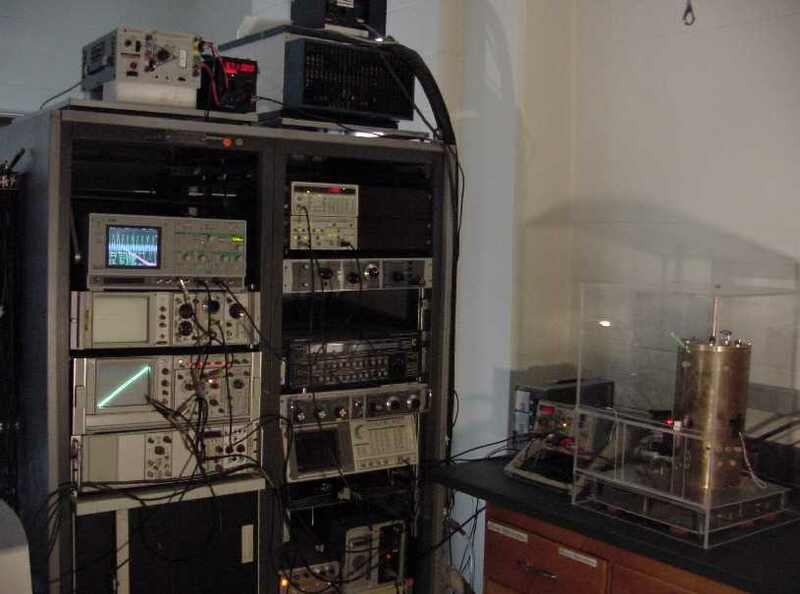 We investigate the freedom of natural and synthesized materials to behave in ways not anticipated in elementary continuum representations, and to attain physical properties of much higher magnitude than anticipated from standard theories. The first designed 3D negative Poisson's ratio materials were made in our laboratory. Composites have been developed in which the composite stiffness is greater than the stiffness of any constituent in the composite. Lattice materials have been made with tunable thermal expansion over a wide range. The first 2D and 3D chiral elastic lattice materials were made in our laboratory. Viscoelastic materials are of particular interest as high performance damping materials and as materials which undergo creep in industrial settings. We determine viscoelastic properties over eleven orders of magnitude of frequency, with no need for temperature shifts. A major theme of research in our laboratory is the creation and characterization of materials with extreme and unusual physical properties. We have developed materials with reversed properties, including negative Poisson's ratio, negative stiffness, and negative thermal expansion; also materials with chiral asymmetry and controlled thermal expansion. We pursue basic research as well as applied research for industry. The Micromechanics Laboratory is located in room 212 of the Engineering Research Building (ERB). J. L. Katz (Case Western and Kansas City Dental), Biomedical engineering, Biomechanics. In memoriam, (2013). Dr. Xinchun Shang, Professor in Solid Mechanics and Associate Head of the Department, University of Science and Technology, Beijing, China, Spring 2005. Theoretical study of the stability of composites. Dr. Dong Li, Northeastern University, Shenyang, China, Spring and summer 2012. Study of vibration of materials with resonant ultrasound spectroscopy; synthesis of materials with controlled phase transformation. Dr. Dong Li returns in 2016; development of advanced materials and characterization. Carlos Andrade joins us for the summer of 2017. Dan Reasa joins in 2018. Recent group alumni and last known location. D. Kochmann, (with Dr. W. Drugan), Fulbright fellow. Lehrstuhl fur Allgemeine Mechanik, Ruhr-Universitat Bochum; as of 2011 faculty at Caltech. T. Lee, PhD, 2001. Research associate at Harvard University, to faculty University of Singapore, to Faculty, Korea. S. Nimityongskul, Spacecraft Dynamics, U. W.
Y. C. Wang, Faculty, National Cheng Kung University, Taiwan. Coupled fields; thermo - elastic collaboration, May 2015. From left, R. Lakes, Professor M. Plesha, J. 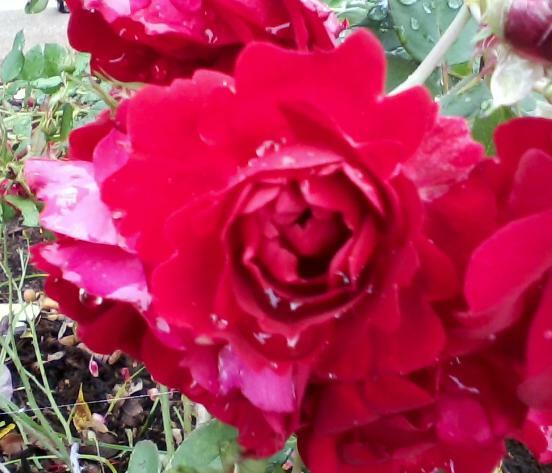 (H.) Li, C. S. Ha. Eric Hestekin has finished. Ligament and tendon project, 2015 (not shown), Professor Vanderby, M. Schmitt, J. Kondratko-Mittnacht. Research group (advanced materials and smart structures), June 2012. 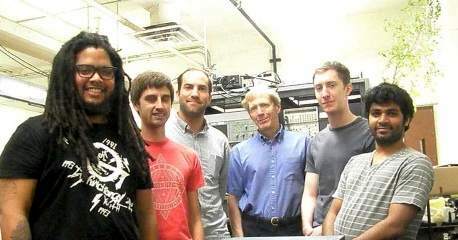 From left, Liang Dong, Professor Stone, T. M. Jaglinski, T.. Carlson, R. Lakes, H. Kalathur, Dong Li, J. Lehman. Ligament and tendon project (not shown), Professor Vanderby, S. Duenwald-Kuehl, J. Kondratko, A. LaCroix. Food project, Professor Gunasekran, E. Sritham. Research group (advanced materials), Nov. 2009. From left, R. Lakes, S. Soofi, Professor Stone, Y. Liu, L. Dong. Ligament and tendon project, Professor Vanderby, S. Duenwald. Food project, Professor Gunasekran, E. Sritham. Polymer viscoelasticity project, K. Lynch. Research group, 2005. Seated, from left, S. Nimityongskul, J. Capodagli, B. Moore. Standing, T. Jaglinski, R. Lakes, D. Kochmann, A. Singh. Not present, C. Mertz, J. Villerd. Nano- composite collaborators (not shown) De Cicco, M., Konishi, H., Cao, G., Choi, H., Professor Turng, L. S., Professor Perepezko, J. H., Professor Kuo, S., and Professor Li, X. 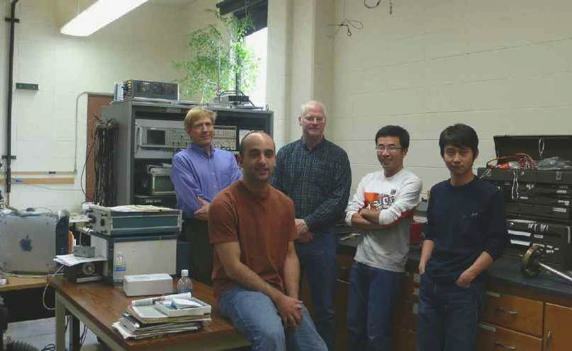 Research group, 2002. 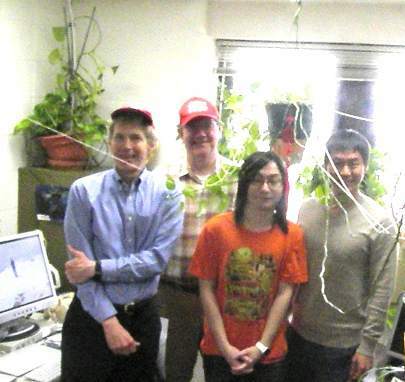 From left, R. Lakes, A. Oza (ligament), E. Manley (ligament), T. Jaglinski (metal creep), B. Welbes (advanced material development), R. Hingorani (ligament), Y. C. Wang (advanced material development). Not present, T. Schmidt. 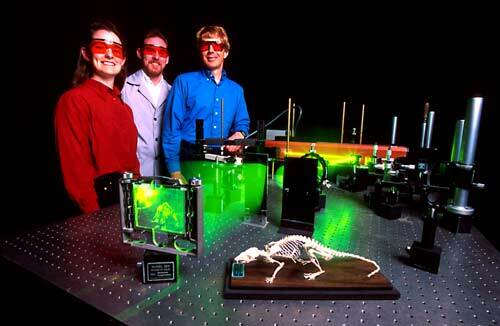 Prof. Crone, Carpick, and Lakes in the holography laboratory. We thank the National Science Foundation, DARPA, various industries, and the Department of Agriculture for support.